Vancouver personal injury lawyers can assist you with your future loss of income earning capacity claim. A recent decision, Young v. Shao, 2018 BCSC 2017, is a good reminder of how to advance your claim for future loss of earning capacity. Said claim is determined by comparing the likely future of your working life if the accident had not occurred against your likely future working life after the accident. In this case, the plaintiff, Ms. Young, was involved in a motor vehicle accident on the Lions Gate Bridge in Vancouver. Her vehicle was rear-ended by the defendant’s vehicle and pushed into another vehicle. Ms. Young claimed soft tissue injuries to her neck, shoulders and back. The defendant admitted liability in this case. Ms. Young claimed non-pecuniary damages, compensation for past and future loss of earning capacity, and cost of future care at trial. Prior to the accident, Ms. Young held two jobs. She lived conveniently close to work. She worked as a part-time cashier at Winners and an “in-store marketer” at the Hudson’s Bay Company (the “Bay”). At the Bay her tasks involved receiving and setting up new merchandise, changing mannequins and assembling an in-store display. Both of her jobs were physical. Ms. Young had to be on her feet, and she had to lift, bend, reach and do many repetitive movements. Outside of work, Ms. Young was very passionate about dancing. She claimed to have danced 5 times a week. Following the accident, Ms. Young returned to her daily routine as her soft tissue injuries continued to persist. In addition, she went through a divorce and was forced to move from North Vancouver to Surrey. Since she lived farther from both jobs, she was unable to rest between her shifts at Winners and the Bay, and given that she quit her job at Winners. Ms. Young claimed that prior to the accident she had planned to work at Winners until the age of 70. However, following the accident, she will be unable to meet the physical demand at Winners and the Bay and will be forced to retire at 65. Her loss of income from Winners should be assessed between $118,000 and $200,000. She also claimed loss of future income earning capacity between $261,000 and $343,000. The defendant argued that Ms. Young failed to demonstrate any loss of earning capacity as a result of the accident or injuries sustained in the accident. The only reason why her income dropped was because she chose to quit her job at Winners. Also, she did not suffer from any permanent impairment affecting her earning capacity. …First, a plaintiff must prove that the injuries suffered in the accident and the resulting symptoms impaired her ability to earn income and that there is a real and substantial possibility that her diminished earning capacity has resulted or will result in a pecuniary loss. A plaintiff may be able to prove that there is a substantial possibility of a future loss despite having returned to his or her usual employment. If the plaintiff satisfies that burden, and therefore establishes an entitlement to compensation, then the second stage requires an assessment of the loss. A plaintiff may prove the quantification of that loss either on an earnings approach or a capital asset approach. 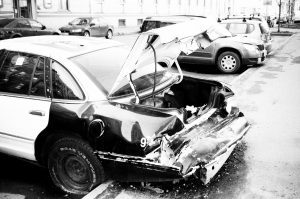 The court further stated that the plaintiff’s loss is assessed on the basis of the difference between the plaintiff’s original position just before the accident, and the injured position after and as a result of such accident. Such assessment is an exercise of judgment, not a mathematical calculation. The court must base its decision on what is reasonable in all of the circumstances. The court determined that Ms. Young’s decision to quit her job at Winner was not causally connected to the accident. Ms. Young was going to move from North Vancouver regardless of the accident and it was highly unlikely that she would have given up her dancing in order to pick up more shifts at Winners. Therefore, Ms. Young failed to establish her claim for income loss up to the trial. Regarding her claim for future loss of income earning capacity, there was no evidence that Ms. Young’s employer had any concerns about her job performance or was not prepared to make accommodations for Ms. Young. On the other hand, Ms. Young’s evidence was to the effect that she often worked with pain and came home at the end of the day drained and fatigued. This was unlikely to change going forward. Therefore, she demonstrated that her future income-earning capacity has been impaired and demonstrated a real and substantial possibility of a future loss. But for the accident, Ms. Young would have looked for a second part-time job to supplement the income she earned at the Bay. The court calculated the award to be $35,000 and another $35,750 for the need to retire earlier as the result of her injuries. In total the court awarded her $70,750 for future loss of income earning capacity. Give the goodfirm Vancouver Personal Injury lawyers a call for a consultation if you have been injured.